Be sure to have a detailed conversation with your landlord/leasing agent about your lease agreement and terms before signing anything. 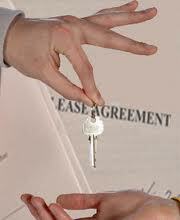 Know what type of agreement you are signing beforehand. Is it set for a fixed departure date? Are you able to extend your departure date if you haven’t submitted notice? Find out what other fees are associated to the rental. Is there a non-refundable cleaning fee? If you have a pet, are you going to be charged an additional pet fee? Do you have to pay for a rental credit check? Ask when rent is due and find out if you have a grace period before any late fees are assessed. If a security deposit is required (which most of time it is) find out if it is refundable after you depart. If so, how many days do they have to refund this back to you? This varies by state. In most states, security deposits cannot be non-refundable, but other non-refundable fees can be charged as long as they are separate from the security deposit. Be aware that furnished rentals are generally a higher price for rent, deposits, and fees. Doing your own research beforehand will make you the most informed renter. Some state laws are geared to be more in the tenant’s favor, like California, while others like Colorado lean towards the property owner’s favor. Join us next week when we discuss maintenance issues.